He would have preferred to be unopposed this time around as he seeks re-election as the Zifa president. Flamboyant businessman and National Assembly member for Zvimba South Phillip Chiyangwa did all he could to ensure no one would challenge him for the Zifa presidency, but all his efforts have come to naught. It is only two days before the Zifa election, initially pencilled in for December 1, and former executive committee member Felton Kamambo will lock horns with Chiyangwa for the president's post. Kamambo has the momentum, buoyed by the fact that he managed to successfully duck all of Chiyangwa's fiery darts meant to immobilise him and prevent him from contesting the election. But does he have enough to upstage Chiyangwa, whose reputation for unorthodox tactics in such circumstances is unparalleled? Another spectacle is unfolding in this race. There are reports that this is the end of the road for Chiyangwa's ally and incumbent Zifa vice-president Omega Sibanda, amid claims the association's president has dumped him. Chiyangwa is believed to have formed an alliance with Sibanda's rival Gift Banda for the position of second-in-command at the association, in a desperate bid to remain power. Competition is also stiff for four available slots for the executive committee position, with the incumbent Zifa board member (finance) Philemon Machana, public relations executive Sugar Chagonda, businessman Chamu Chiwanza, veteran administrator Stanley Chapeta and ex-referee Brighton Malandule, all in the running. Media practitioner Barry Manandi pulled out of the race in the middle of the circus that preceded this election. Fifa, who ordered Zifa to allow the members who had been barred from taking part in the election under controversial circumstances, including Kamambo and Banda, are sending a team of observers for the election which is set for the Zifa Village on Sunday. 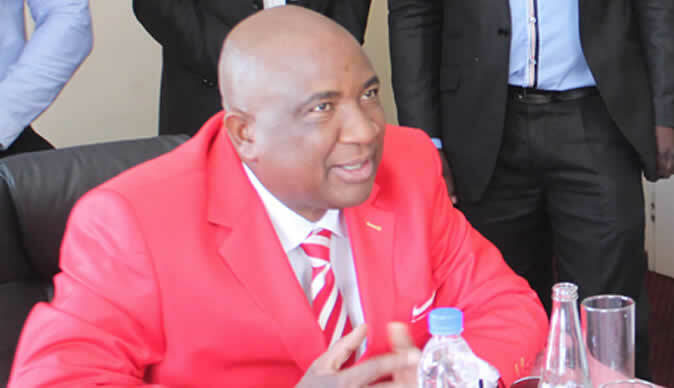 It is Chiyangwa who will be wondering what he did wrong in his plot to stroll into the second term as Zifa president, with as much resistance as that of a cool breeze. Initially, he set extortionate nomination fees, $5 500 for the president's post, $4 000 for vice-president and $3 000 for board member aspirants, in alleged bid to elbow out other candidates. Chiyangwa then roped in the Zimbabwe Anti-Corruption Commission (Zacc) to conduct integrity tests on all candidates and his rivals failed the test. Kamwendo, Banda and Mlungisi Moyo were then disqualified from contesting in the elections by the electoral committee on November 2 for various reasons, including failing to pass the Zacc integrity test. The disqualified candidates appealed, but they were dismissed and wrote to Fifa, who then stepped in to reverse the decision by the Zifa electoral committee and appeals committee. Chiyangwa had to eat humble pie and now needs new tricks to win the election fairly. When he won the election three years ago, Chiyangwa claimed he would not seek re-election, but things seem to have changed for the Cosafa president. He has been rather quiet in the run-up to Sunday's election. In an interview with a local daily, Chiyangwa was bullish and confident that his achievements speak for him and will earn him another mandate to lead local football. Among the achievements are the notable performances of the Mighty Warriors in regional tourneys and at the 2016 Rio Olympics. He also bragged about the Warriors team that has won back-to-back Cosafa titles, as well as making it to the 2017 Africa Cup on Nations. Chiyangwa also took credit for bringing in foreign players with Zimbabwean roots, such as the England-based Tendai Darikwa and Welsh-based Alec Mudimu to play for the country. What will work against Chiyangwa are his administration methods which have come under heavy criticism, as well as allegations of graft that have arisen during his tenure. There are many unanswered questions about Zifa property. He was also accused of abuse of power by collecting monthly rentals approximating $10 000 from Zifa, for the use of his offices at 160 Enterprise Road, yet Zifa owns offices at 53 Livingstone Avenue in Harare, which could have been used instead. More significantly, he has fallen out with the Zifa councillors who initially gave him the reigns in 2015. On the other hand, his challenger, Kamambo, has promised to deliver, should he get the mandate to lead Zimbabwean football. "If elected Zifa president, my administration shall strive to put together a 100-day plan whose theme shall revolve around repositioning Zifa as well as reclaiming all that Zifa lost over the years," read part of his election manifesto. He promised a forensic audit, the re-establishment of the FA Cup, the introduction of the Zifa Awards, channelling of funds to football development as well as construction of a building to house the association's offices.